This map demonstrates territory of Afghanistan, of Pakistan. detailed map of Nekratol 1 cm to 1 km here. actual map of Kuru with gps calibration here. detailed map of Koghozi displayed. actual map of Krinj displayed. map of Kalas this. interesting map of Izh with gps calibration for you. free map of Garam Chashma with gps calibration for gps. topographic map of Buriogh 1 cm to 1 km for you. 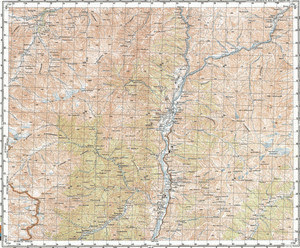 free map of Brumboret calibrated download for free. interesting map of Biron Shal 1 cm to 1 km for Garmin. detailed map of Birmogh Lasht и OziExplorer calibration download for free. map of Kashindel this. interesting map of Dothanga for you. actual map of Badowe и OziExplorer calibration download for free. detailed map of Muldeh и OziExplorer calibration for Garmin. map of Mulen More here. actual map of Saruzjal presented.